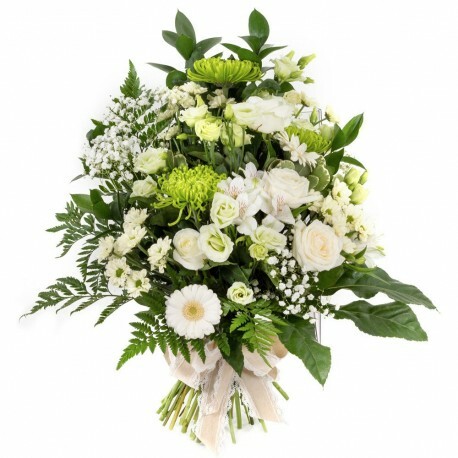 Tied Sheaf of Green & White flowers including roses, green bloom,lisianthus, spray roses, chrysant, september flower and foliages. Flowerscene deliver in Aberdeen and surrounding areas. If preferred this sheaf can be collected from our shop.